Chase & Status are very much hit & miss for me. Sometimes they come out with a song I can't stop playing for months, and sometimes they come out with a song I turn off after 5 seconds. 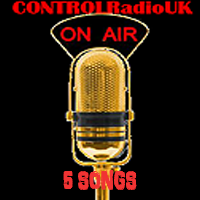 This has been in the CONTROLRadioUK 5 Picks queue for a while now (you can probably tell by the date on the song). Others here at CONTROLRadioUK HQ like this song a lot more than me. They like the beat which I can agree with & think it's a nice little tune to perk up your Monday. For me personally it is an ok song; there's nothing about it that'd make it stand out from a crowd & after being a major fan of it for a while I'm now very much past Dubstep which I blame on over-use. Chase & Status are an English Electronic Music Production duo. This was done as a special for Pete Waterman back in 2015, but I only came across this last week in the midst of Steps announcing their 20th Anniversary Reunion. Deeper Shade Of Blue is my favorite Steps song. I've collected numerous versions of it over the years, but this is by far the most breathtakingly beautiful version of it your ears will ever have the pleasure of listening to. I've featured Steps in various Throwback Thursday articles, so I won't re-write an essay here (as much as it is tempting). I was a massive fan of Steps as a child, their spilt was devastating for my early teen self & I enjoyed H & Claire's short-lived duo. If Claire does ever come out with a solo album I will throw all my money at it, because this woman can sing! Instead we have another reunion to get through which I will try my best to join other fans in enjoying, but it is difficult to do so. Getting my critic out the way first; this is one of the most pointless music videos my eyes have ever been forced to acknowledge. I know it's just a lyric video but it's been proven you can do a lot with them, and this isn't it. When I showed this to CONTROLRadioUK HQ I scrolled down the page so they couldn't see the video, and instead let the song do the job for two and it worked out very well. Is this the best song you'll hear this year? Not even close. But it's got nice beats, decent chorus to hook you into the song and exposes your ears to a good MØ collab. That's right! No Diplo or Bieber in sight and it's wonderful. My second critic of the week (that's right the festive period of kindess is well & truly over); I cannot stand unneccesary rap. Unless I'm listening to a song of that genre or it adds depth to the song DO. NOT. HAVE. IT. I understand if you're trying to bring an Artist/Band to another market having someone from said market feature on the song with them works, but it doesn't always have to be a rapper. Little Mix did quite well having Jason Derulo feature on 'Secret Love Songs' with them & I excuse Sean Paul featuring on 'Hair' because he did actually bring something to it. Here? Kent Jones part comes close to ruining the song for me. Apart from that I do think this song is a decent number. The video doesn't do much for me, but the music thankfully goes somewhere and it's a decent follow-up to 'Who Do You Think Of' which brought them to mainstream attention. This without a doubt is one of my songs of 2017. I know that's a pretty big statement considering we're only in our second week of the year, but it's true. I've taken a glimpse through their back catalogue & I can't decide which of their songs is my favorite because they are all so fantastic. They've also toured with another of my favourite bands GroupLove, so you definitely know you're onto a winner here. 'I Know A Place' is a great infectious number you can't resist dancing along to. It's also got a meaningful lyrics and a terrific hook for thos chorus that puts the whole song together so effortlessly. MUNA are an American band and their EP's 'More Perfect' & 'Loudspeaker' are currently available to stream & buy, and you can pre-order their album 'About You' which is due for release on the 3rd of Feb.